One of the dreams we have for our church is that every disciple is in a meaningful small group of some sort, which meets on a regular basis. 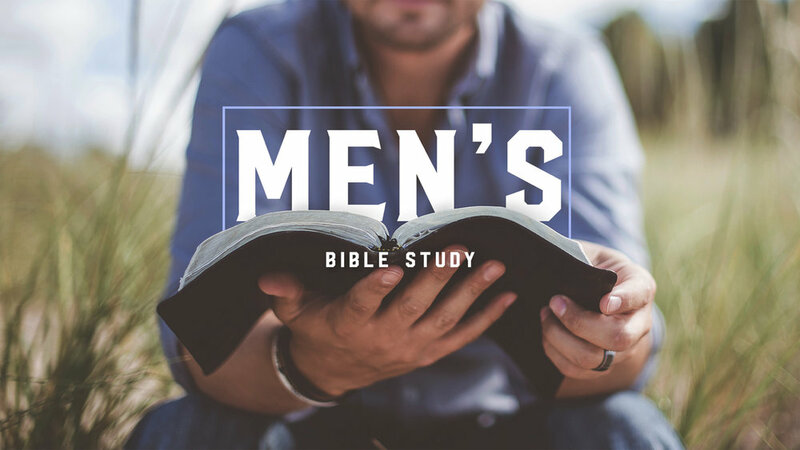 A great way to do that is through our various Men’s and Women's Weekly Bible Studies. Women's Bible Study meets on Tuesday nights at 7:00pm in the Fireside Room at the church. The time spent together each week in fellowship, study, prayer, and community helps develop an amazing bond between the women who attend. As we share life together we leave better equipped to treasure the gospel in our own hearts and lives as well as share it with others. We will not have Ladies Bible study this Tuesday, March 12th, but will resume on the 19th. Our next study will be by Lysa TerKeurst called, It's Not Suppose to be this Way: Finding unexpected strength when life leaves you shattered. If you are interested in coming, sign-up sheet is at the info kiosk. All ladies are welcome. There will be a video and workbook. The workbook cost is $9.20. The cost of the book is $14.99 (If you are interested in the book please let Mendy Lange know). Any questions contact Mendy Lange or Sherry Smith. Women's Bible Study for women age 50+, which meets every other Thursday. If you have any questions, contact Marian Fischer, Judy Boerboom, or Sherry Smith. The truth is women can often be very intimidated by one another. We want others to believe we have it all together, as if that belief makes us more likable or acceptable, but no one has it all together. We know you can you relate and that is why a handful of women at Swan Lake have set out to create a safe community for women called, Relate. Whether single or married, kids or no kids, just graduated or retired, doing well or feeling desperate, God is pretty clear about how He feels about community. He created us to be in community together, to support one another and to lift each other up (Hebrews 10:24-25, Galatians 6:2, and Matthew 18:20). It is our prayer that God will use Relate to be that form of community for women. A place where there is no judgment or comparison, but instead encouragement and laughter. A place to foster the common ground that exists between all of us! We gather once a month, on a Friday night or Saturday morning, for a few hours. We will have an activity, a devotion, and a time of fellowship. Many of us do not know each other well and we want to change that and are hoping that this is the place to start! Feel free to bring a friend to any and all of our events! All women are welcome! NEXT Women’s Relate Event – March 15th. Join us at 6:30pm and bring a new coffee mug! Each person will go home with a new (different) mug. The woman who brought the mug you end up with will be the woman who you will pray for specifically over the next year! We will be serving hot chocolate, coffee, and cookies. Come enjoy some fellowship, treats and fun! Please contact Kristin Smith with any questions! We are excited to have such a vibrant and active Women's Ministry at Swan Lake. There are plenty of regularly scheduled events. For more information and to keep up to date with all of those happenings, click here.